Things have changed a bit on the gulling front this winter. 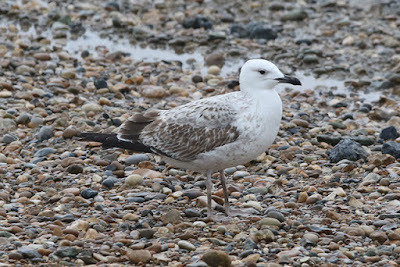 It seems as though Pitsea is on its way out, and with just a handful of trucks going up there on Saturday mornings, I haven't been there for a couple of months. 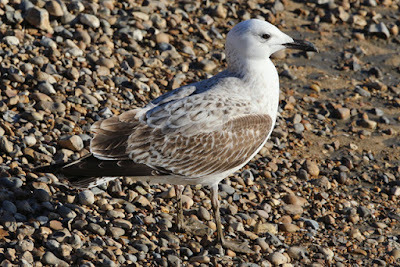 Similarly, Rainham is not what it used to be but that has been happening for a few years now. The government's push for more incineration of waste has meant our gulls don't have those dumps to scavenge on. 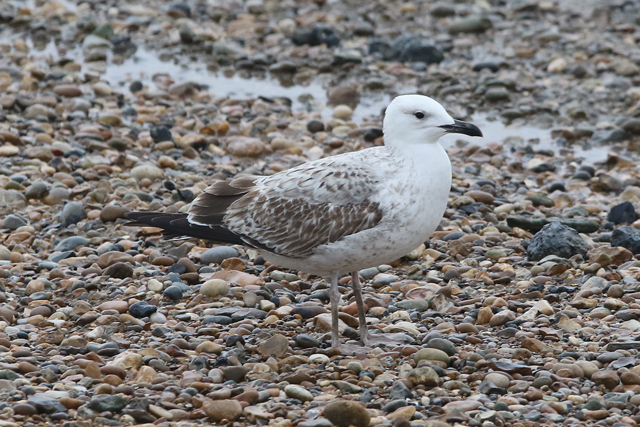 Anyway last Sunday and today, this beautiful and crisp 1st-winter Caspian Gull was favouring the foreshore at Thames Barrier Park (and earlier at Lyle Park) - enjoying a bit of bread at times too. 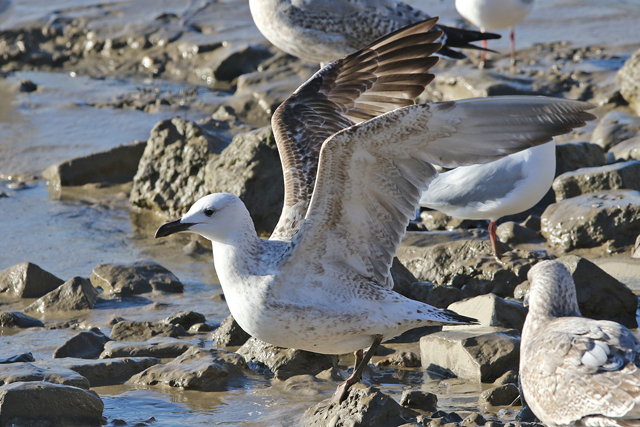 You get some Caspian Gulls that are just fine to see, while others are quite memorable like this gorgeous thing. Really bright light last weekend in contrast today where it never actually got light! 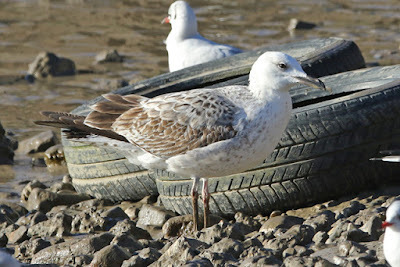 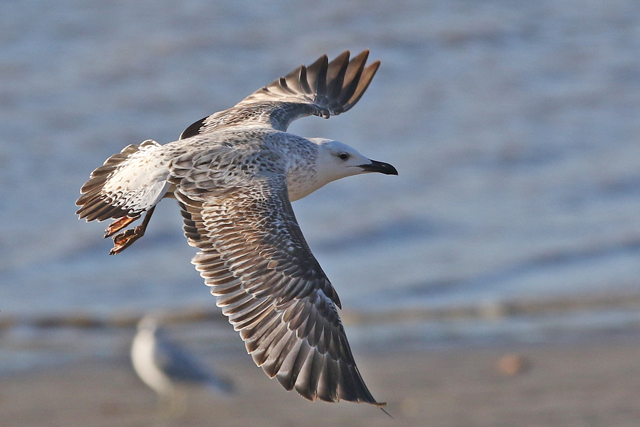 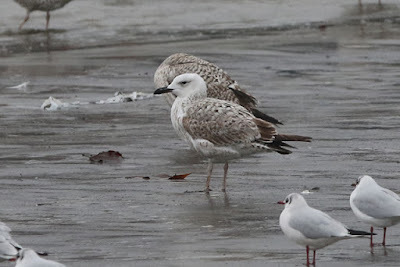 There were also three Yellow-legged Gulls today, an adult and two first-winters. And a few North Thames Gull Group rings - first-winter Herrings that had been ringed at Pitsea in November.